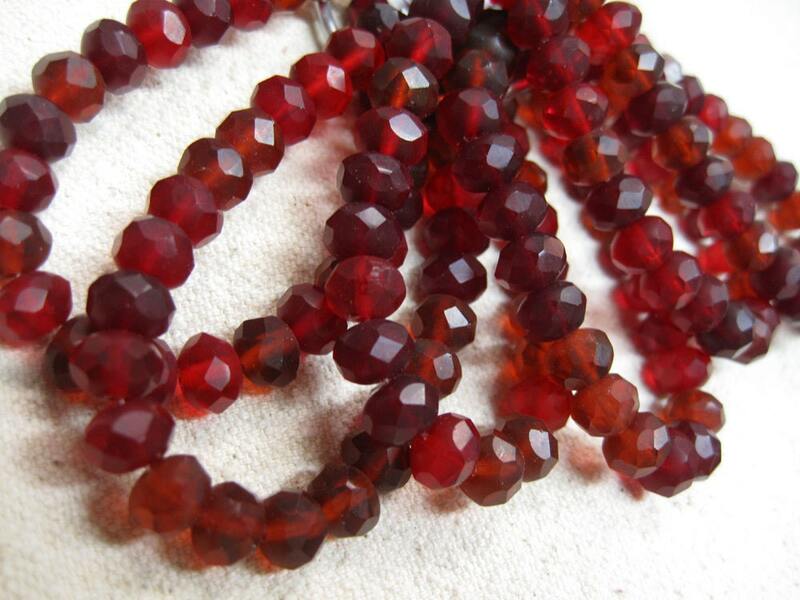 Ruby red matte mix of light and dark shades - Czech pressed glass large faceted rondelle beads are 6 x 8 mm and there are 25 per strand. Beautiful red shades, dark color as you look at them on the strand but even more gorgeous in the daylight. Try these with all your jewelry making creations to add some sparkle! Lovely blend of rich colors. Quickly shipped.